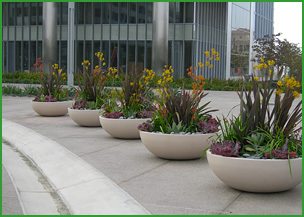 Considered one of San Diego's leaders in the interior plantscape business, The PLANTRY has been providing the highest quality interior plantscapes in San Diego county since 1976. The PLANTRY specializes in providing our customers with personalized, unique quality interiorscapes to meet the needs of our commercial, small office and residential customers. Nothing warms up a room, home, office or building like plants. The PLANTRY has a wide selection of plants to soften formal conference rooms, relax the entire office, or create a comfortable feeling for your home. Set your space apart and reflect your individual taste. The PLANTRY is dedicated to helping our Business and Residential customers create a unique atmosphere that you will be proud to showcase. The PLANTRY does this and so much more!